Residents at Patterson Houses rushed to the fire hydrant outside 300 E. 143rd St. on the first Sunday afternoon in December to draw water. But there was no fire to quickly extinguish; instead, they lined up, buckets in-hand that frigid day because their running water had been abruptly cut off without notice. 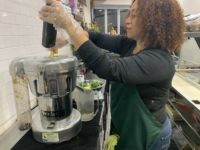 Freshly Made Sobro, located on 2535 Third Avenue, opened in March and serves everything from garden-fresh squeezed kale with a touch of pineapple and apples to vegan wraps at prices from five dollars to eight dollars. 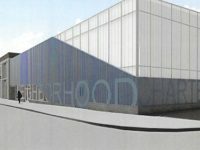 Renovations and remediation are scheduled to be finished on the building at 411 Wales Ave. by Aug. 2019, when it is slated to open as the second school in the Neighborhood Charter School network. Students at University Prep. 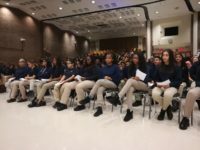 Charter HS have been working on an interdisciplinary project about how humans can colonize Mars, and had lined up many questions during their allotted 20 minutes with an astronaut. Because there is no security in Velez’s building, people have been coming inside to shoot up. 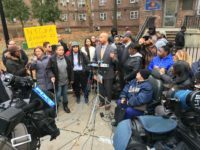 Drug paraphernalia, blood, overdosed bodies and feces are just a few of the obstacles the residents of the building have to bypass in order to make it into their apartments. 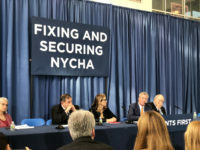 The 40 buildings stretching from from 136th Street to 145th Street were converted to the federal Rental Assistance Demonstration (RAD) program, which means they will now be managed and renovated by a private developer, but remain under basic NYCHA guidelines, including keeping rent at 30 percent of residents’ income. 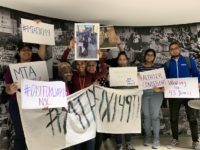 New York City Transit staff held a meeting at Hostos Community College to discuss new plans to modernize the subway and bus systems across the five boroughs.